I have to admit to not being familiar with Lama Marut before coming across his recent book ‘Be Nobody.’ Much like the book ‘The Novice’ by the Naked Monk aka Stephen Schettini, which I reviewed a little while back, it is the story of a ‘religious seeker, finder and then leaver of the cloth’ (monk robes to be specific). It’s the ideal book for those who define themselves as ‘spiritual, but not religious’ but beware, Lama Marut tackles that very principle of self-definition that we humans are apt to put upon ourselves. The overreaching theme of the book is to ‘undo’ the isms and break free from religious labels as these can only further our feelings of ego identification or separateness from one another. He takes the wisdom from many different traditions be it Buddhism, Hinduism and Christianity and distills it into a book that recommends a new way of being nobody. A way to dismantle the self and be awake. As a ‘religious hybrid’ who studied many traditions both personally as well as academically, Marut is well-versed in both the practices as well as the study which goes with these religions. He uses many stories to help illustrate his message. ‘Be Nobody’ covers a lot of (mainly Buddhist) ground. From the self, no self, interconnectedness, the skandhas (I absolutely adore his mention of the mental afflictions and the metaphor of having a ‘rage in the cage’ style wrestling battle with them), a healthy dose of Shantideva, empathy and guru yoga amongst so many other topics. Believe me, the book gets into it all! One area of ‘Be Nobody’ where I kind of tuned out was the section on flow states and play and how these work to help us lose our sense of self. I’m not sure why I checked out during this area, but I think it’s just because it’s less of an interest to me than the more ‘dharmic’ materials in the book. I can fully see how it relates to losing one’s sense of self, it just stuck out for me as a section that was tacked on as having some spiritual significance rather than the meaty (and in my opinion more relevant) bits that the rest of the book offered up. One of the best parts about ‘Be Nobody’ is the pop culture references. I’m a big fan of his use of personal and real-world examples to help support the main principles of the book so any mention of Captain Kirk, song lyrics or movies certainly captures my attention. Another positive aspect of this book is the ‘Action Plan’ found at the end of each chapter which offers suggestions for how to apply the elements into one’s life. These concrete instructs allow people to put the teachings into practice as a means for transformation. At the end of the book is a set of meditations from the Vijnana Bharvanva Tantra aka ‘Methods for Attaining the Consciousness of the Divine.’ I didn’t go beyond reading these but do plan to revisit them at a later date. Quite often in ‘Be Nobody,’ Marut speaks to society’s obsession with social media and the correlation it has with the increased levels of depression in our world. He feels that the narcissism that is being demonstrated by living in the ‘iEra’ is something that is quite worrisome. 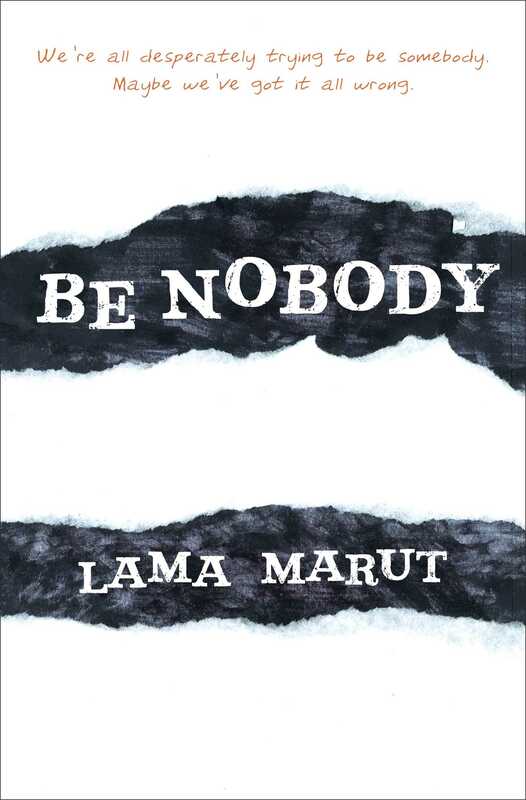 Overall, ‘Be Nobody’ by Lama Marut was a great read and one I’d recommend to Buddhists, non-Buddhists and those looking to become less Buddhist and more of a nobody. I highlighted a good part of the book and plan to later go back and do some of the meditation practices when I have some time as well as to read the end notes and citations which are chock full of great articles and books.